I’ve been trying to figure out this pattern for a while. I wasn’t able to find a pattern online that fit my requirements so I came up with my own. And of course, I had to share it with you. You will find that this pattern will make a nicely shaped and comfortable detachable peter pan collar that you can wear with low cut tops and dresses. 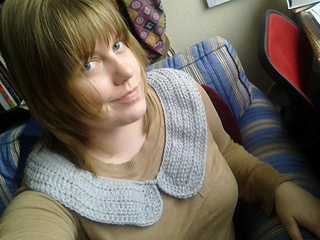 The suggested pattern is in plus size but I also provide instructions on how to make it smaller or bigger. I am offering this pattern for free. 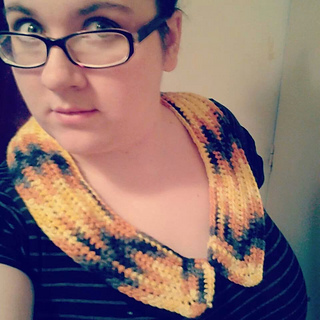 If you don’t crochet and would like to purchase a collar made by me, check my Etsy.